The 1970s Diet: Run Cancer Run! 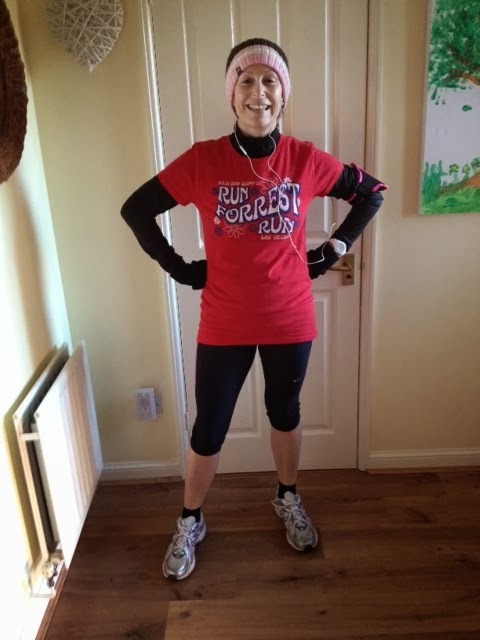 As promised, my oldest friend Cath, has written a very moving, honest and hopefully inspirational account of her fairly new fitness regime following on from her breast cancer diagnosis. You can read all about Cath's journey on her fantastic blog Oh Marvellous. Its a great read and she'd love some more followers. Now if this doesn't get you dusting out your trainers for a walk, jog or run then I don't know what will! I’m in the midst of celebrating my 40th birthday. Cake, flowers and presents last week, and looking forward to a big party this coming Saturday. I am celebrating not only my birthday, but life in general. This is because back in 2012 I was diagnosed with breast cancer. Stage 3, triple negative breast cancer. During that year I underwent surgery, chemotherapy and radiotherapy. I’m not going to dwell on this grim diagnosis, because I am still here, and now fighting fit! Thanks to some wise words from my Oncologist, I have decided to make fitness my No.1 priority. I have two wonderful children and a very supportive, caring husband, so obviously THEY come first, but after that – it’s fitness! I am fortunate enough not to have to work, so aside from doing my motherly and housewifely duties, my time is my own. I have dabbled in exercise over the years. Aerobics, swimming, Pilates, zumba, I have had a go and persisted with these to varying degrees. But prior to my diagnosis, due to the pressures of life and work (at the time) I had stopped making time to exercise. I think this was a contributing factor to my getting cancer. I have since learned that if you exercise regularly, not only do you become physically strong and fit but your mind benefits and you can cope with stress easier AND your immune system is given a boost. So, my Oncologist said to me, the first time I met him “the best thing you can do to your help yourself is EXERCISE”. I took that, and ran with it! Even during my chemo treatment I entered and completed my local Race for Life. Yes, I walked the 5k (3 miles) but it was the furthest I had walked in a very long time. It was an empowering experience and I couldn’t have done it without the help and support of my friends. It was December 2012 when I started exercising seriously. I bought new trainers and started to learn to jog. Before cancer I would have laughed at anyone who suggest I take up jogging. I used to say “I don’t do running” and honestly felt I wasn’t built for it. At size 12 and averaging 9.5 stone, I’m not sure why I thought that, other than it being an excuse. I love this picture - Cath wearing the T-shirt I picked up for her in Las Vegas - I think it looks fab! I started out by walking a little way and then running for a minute, but then I found this App for my phone – C25K. It basically coaches you to run 5k over an 8 week period. You need to commit to going out 3 times a week which I did, and before I knew it, I was running (read jogging). Running, jogging, whatever you want to call it, I was covering the 5k and not walking it. At first it was hard and I had a few times out when I thought, “Why am I doing this? !” but of course the answer was obvious. I knew I couldn’t just give up. I used to imagine that a big fat blubbery cancer tumour was running after me! That helped to move me along I can tell you! Since December 2012 I have run 3 times a week most weeks, trained and completed a 10K race in Brighton and am now training for a second 10K race. I also love doing my weekly yoga class and a session of Bootcamp style training. I’m out whatever the weather. I’m not Wonder Woman though, of course I have my weeks where I lose my “mojo” and find it hard to get out. Over Christmas I had 2 weeks of barely any exercise, and boy did I know it when I got back to it! But I soon got into the groove again and felt fabulous when I started to feel and see the rewards. The rewards are being leaner and fitter than I’ve been most of my adult life, feeling a buzz from pushing myself and achieving my goals and knowing that something positive has come out of my cancer diagnosis. So, yes having cancer has changed my life for the better. I hope this feeling will apply to the rest of my life. I fully appreciate that I am one of the lucky ones. The cancer I had was the “busy” spreading kind, but fortunately for me, it hadn’t. I’m confident it won’t return, but if it does, I will be fitter and even more determined to fight it off again.